Doors Open 7.30pm, showtime 8.30pm. In a world of borders, walls and big brother, we look for a higher power. With disillusion of our leaders, hatred of the top 1%, and fake news drowning our feed, who speaks for us? Silly cat videos, DIY life hacks, and stupid memes have taken the place of harmony, flatpicking, and nose bleeding banjo tunes. 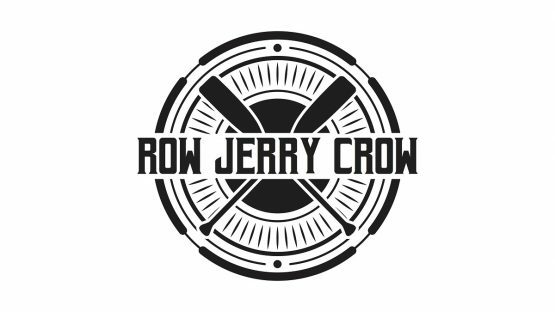 Row Jerry Crow are here to bring meaning back to your ears. Precise, ridiculous, mind bending, bowel destroying Bluegrass for the next century. So clean the seamen of the poop deck, cast the rear admiral to the bowels of the ship, pick up an oar and let us find land together! Performing April 18 along with mates and (Golden Guitar nominees) THE WEEPING WILLOWS as well as DANNY BAEFFEL opening up the evening this will be a great night of music not to be missed! OTHER SHOWS COMING UP @ THE EMBER LOUNGE….